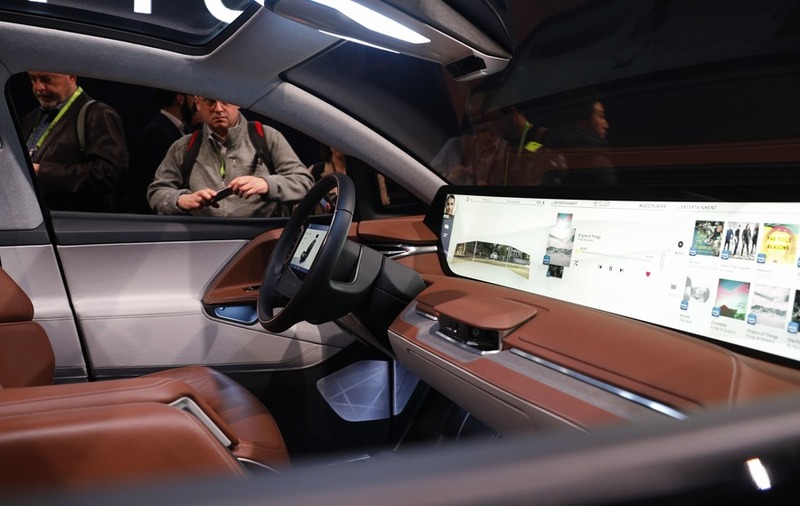 Chinese motoring startup Byton is preparing to begin production of its smart intuitive vehicle, fitted with a 48-inch digital dashboard, a touch screen embedded in the steering wheel and support for 5G and Amazon Alexa among its futuristic features. The Tesla competitor provided an update on its plans at CES 2019, the main tech event of the year held in Las Vegas, with a fresh glimpse inside its latest interior designs for the M-Byte, an electric SUV, following its debut at CES last year. Its 48-inch dashboard display can be controlled using the tablet on the steering wheel, a touchpad in the centre console or hand gestures, to carry out a variety of tasks, from mapping out a route, to in-car entertainment.